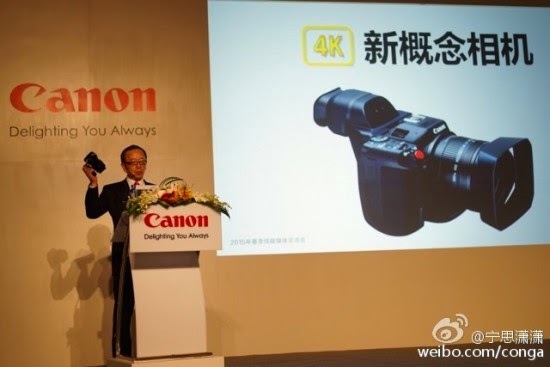 Canon China President, Mr. Hideki Ozawa, demonstrated a 4K camera on stage with actor Jackie Chan in China recently. The camera appears to resemble a DSLR model with a 10x optical 8.9-89mm f/2.8-5.6 zoom capability. It comes with an EVF, rear LCD screen and apparently has a 1 inch CMOS sensor plus built-in WiFi. This camera could also be Canon's first attempt to enter the nascent drone market with removable parts for mounting. 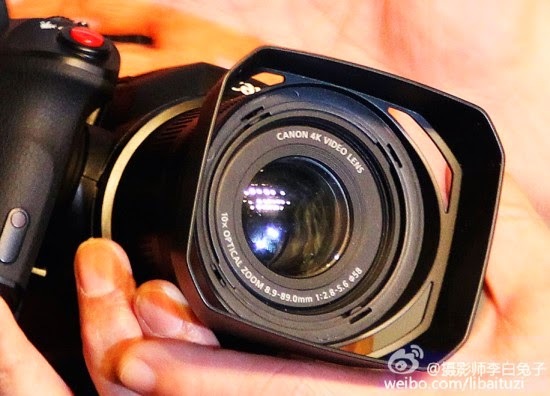 We will know more about this 4K consumer camera to be announced at the NAB 2015 Show in Las Vegas soon. 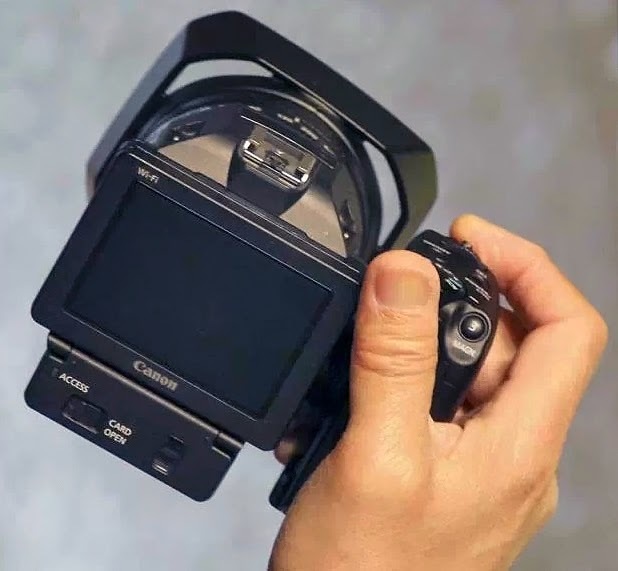 Canon PowerShot G17 Coming Before June? Mirrorless Cameras Becoming Mainstream Like DSLR? Adobe Lightroom 6 Coming Last Week Of April?